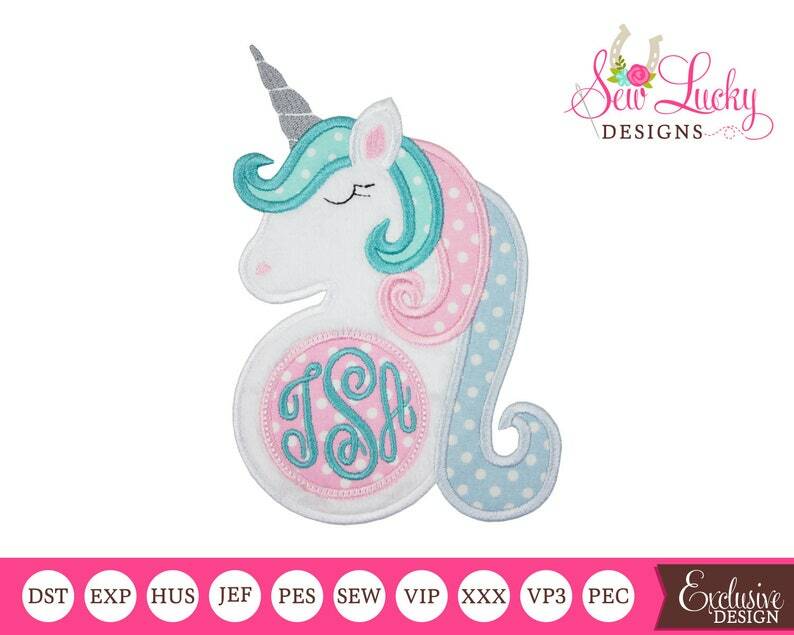 Unlock your creativity with our exclusive Unicorn Monogram Frame applique design. Our cute Unicorn Monogram Frame was exclusively drawn for Sew Lucky Designs so you won't find this design anywhere else! Each Design is manually digitized and tested for quality stitching before being released for sale. We include the following formats for each design. FONT FOR MONOGRAM NOT INCLUDED!